​​ ​GRAPEVINE – The Trade Group, a company that sells products and services for trade shows and other corporate events, is moving its headquarters from Carrollton to Grapevine. The company will build a new facility that will start at 170,000 sf, with plans to expand up to 200,000 sf. 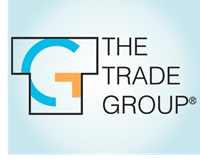 For the move The Trade Group will get more than $1 million in tax incentives from Grapevine.